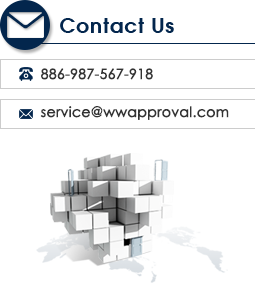 We provide the worldwide approval service for your products, with an efficiently and reasonably price. Our services are including the whole world. (North America, Central South America, Europe, Africa, Asia, and Oceania)One Stop service. Email: service@wwapproval.com │ Copyright © 2014 安宇國際驗證有限公司. All Rights Reserved. Design by web5000 網頁設計.